You’ve driven past it dozens of times – when you’re driving southbound on the Black Horse Pike, before you get to Hospitality Creek Campground and inevitably leave Williamstown, there is a small, inconspicuous sign on the northbound side of the road that’s in the shape of a greyhound. 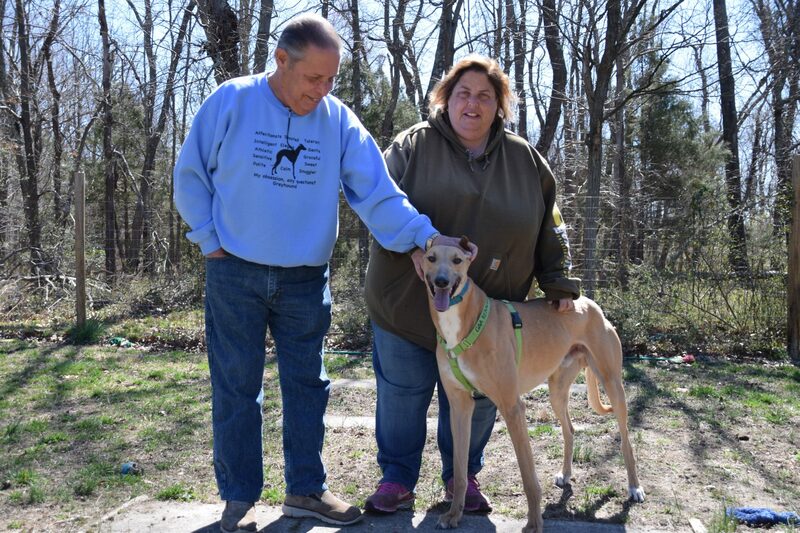 At that location, hidden in plain sight, is Greyhound Angels Adoption, a nonprofit whose mission is to find forever homes for retired race dogs. The daughter-father duo of Lisa Newbold and Ira Weinstein are the director and assistant director of Greyhound Angels and for the past 15 years they’ve made it their goal to find the right dog for the right owner. Their story is one for the books, too. Greyhound Angels has relationships with the racetracks, dog trainers and dog owners. Once a trainer and owner deem a greyhound unfit for racing, the owner will find it a place to go. The tracks Newbold and Weinstein will visit and/or receive their dogs from are in West Virginia, Florida, Kansas or even Arizona. Greyhound Angels is in support of the race tracks. While greyhounds are known for racing and their speed, they really don’t need much room to operate in retirement. For example, a dog named Sven played outside for roughly 15 minutes and he was exhausted. Greyhounds are known to sleep between 18 and 20 hours per day. The greyhound, much like Greyhound Angel’s physical location, is the best kept secret. The adoption process for Greyhound Angels is simple, fill out an application form on the website and schedule a time to visit the facility. From there, Newbold and her team will find the dog that best fits the description in the application. Questions include: how long will the dog be home alone, do you have to leash walk the dog, do you have a fenced in backyard, do you have other dogs, small animals, or children, etc. “We match you to the dogs we have here at the facility and let them pick you,” Newbold said. Greyhound Angels can accommodate up to 20 greyhounds, and every dog will stay as long as it needs to, they are a no-kill organization. An average day at Greyhound Angels starts at 7 a.m. when the dogs are fed, given fresh water and let outside while their crates are cleaned and disinfected. Upon returning, they are given a cookie. Around 11:30 a.m. to noon, the greyhounds are let out again for a longer period of time to stretch out their legs and have more play time. From 5:30 to 6 p.m. is dinner time, and they are let out again around 9:30 p.m. The purpose of a regimented schedule is to break the habit of the track lifestyle. A $75 deposit is due once you are matched with your dog; $275 is due on pick up day. The application is available online at greyhoundangelsadoption.com. 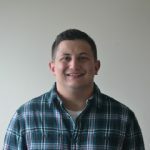 “We give a half-hour presentation when you pick up your dog that goes over specific information about your dog and specific information about the breed,” Newbold said.